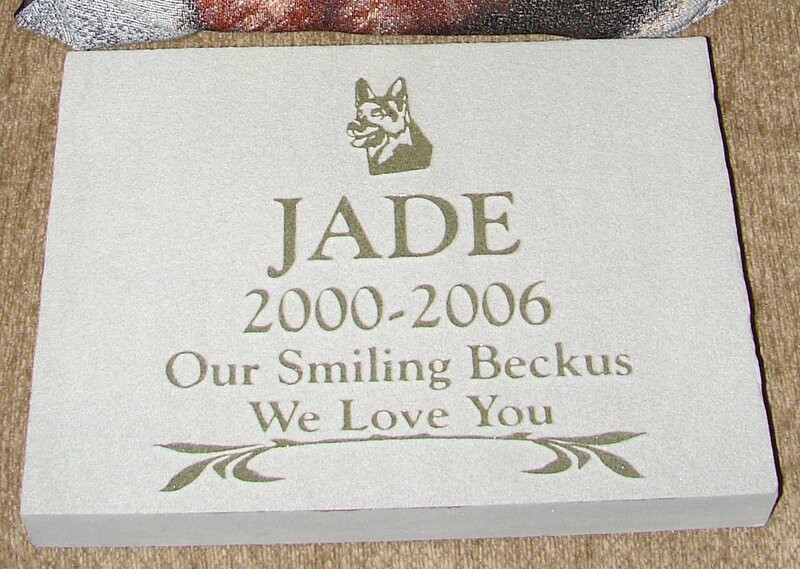 Three weeks after her untimely death, Jade now has a memorial stone to mark her final resting place. Thanks to Nancy McComas at Carved Graphics for working with us on it. She agreed to place a custom image on it for us, and we are very pleased with the result. I certainly hope that none of you find yourself in a similar situation with losing a beloved pet, but if you do, I can recommend Carved Graphics without reservation.